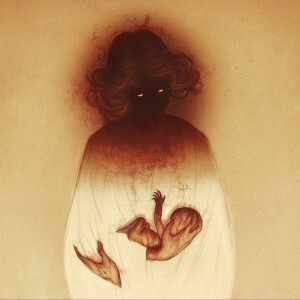 SCANNERS / THE BROOD On Vinyl via Mondo. 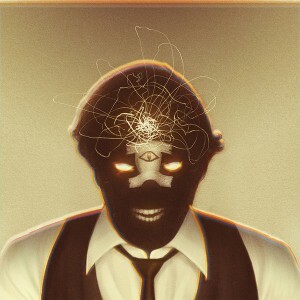 On January 13, 2015, in collaboration with Howe Records, Mondo will be releasing a special “two cover” LP for director David Cronenberg’s classic mind and body-bender films Scanners and The Brood with original scores composed by Academy Award-winner Howard Shore. Available for the first time ever on vinyl, Scanners / The Brood features cover art by Sam Wolfe Connelly on both sides of the packaging, and is pressed on 180 gram vinyl with two colorway options: a Scanners-themed Cream with Brown & Red Splatter mimicking the infamous head explosion and a Brood-themed Gray with Green Splatter to represent Nola’s external womb. SCANNERS / THE BROOD OST LP will be available with two colorway options on Tuesday, Jan. 13th at a random time. Follow Mondo on Twitter for an on-sale announcement.